My law firm has a deep understanding of the insurance business having learned through partnering with insurance and reinsurance companies, brokers, policyholders and other organizations for more than 25 years in a variety of risk management and insurance related areas. We focus on delivering innovative, creative and cost-effective solutions to challenges encountered by our insurance industry clients. My firm's insurance coverage experience includes policy interpretation and drafting for all lines of insurance, as well as insurance litigation. 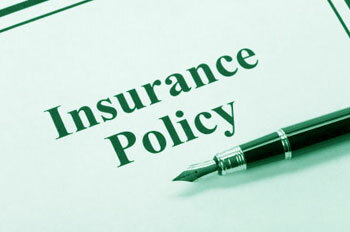 We regularly advise our clients on insurance coverage issues arising under commercial general liability, construction, homeowners, commercial property, personal and commercial auto, transportation and trucking, professional liability, cargo/marine and other multi-line property and casualty coverages. My firm's extensive insurance experience, insurance defense knowledge, coverage knowledge, and business savvy also allows me to provide risk management and insurance review services so that my clients understand what is, and is not, covered by their insurance policies. We recognize and understand the needs of our clients. My firm provides the highest-quality legal service while being cost effective and incredibly responsive. Licensed Maryland & Washington, D.C.
©2011 Eugene I Kane, Jr.
Law Offices of Eugene I Kane Jr, represents businesses, employees and employers in Baltimore, Bethesda, Frederick, Germantown, Ocean City, Washington D.C., Baltimore City County, Baltimore County, Frederick County, Howard County, Montgomery County, and Prince George's County. We represent clients on the Eastern Shore, Hagerstown-Cumberland, and the Maryland Suburbs of Washington D.C.